We've given our daily mail-out a coat of paint. 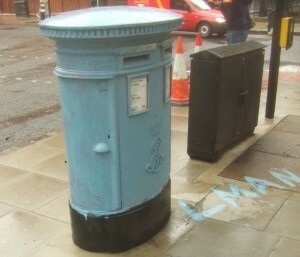 Around the time we migrated Londonist into Wordpress, we lost the ability to send out daily newletters by email. Well, it's all up and working again now. So if you prefer to scan our day's content in one sitting, you can sign up by filling in the form at the very bottom right of this (or any other) page. The emails go out a little after 5pm each day. Let us know if you have any feedback about the newsletters. We can easily tweak and improve the layout and content if people have good suggestions. You can also follow Londonist via our RSS feed or Twitter. And try our Facebook page for daily trivia, photos and other Londony stuff.